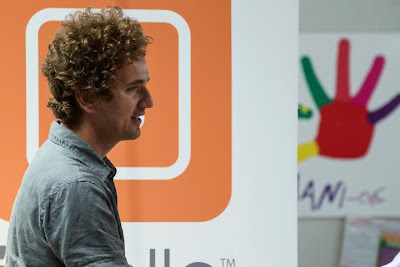 Today's feature is with Raffaele Lafortezza, a key player in the team behind the startup IMOLLO, that is revolutionizing the way file sharing is done compared to the traditional email attachments. IMOLLO is also one of the TOP 5 winners, coming in second place, in the recently held 1st Mediterranean Startup Awards. StartupProPlus extends their sincerest congratulations and appreciation for this interview. More information can be found at the end of the article in the info box. by clicking the link below!! IMOLLO (www.imollo.com) is a communication and information exchange software that gives everyone the freedom to experience easy and efficient file sharing and storage. IMOLLO offers its users and initial adopters fast and safe file exchange, free cloud storage, and simple messaging services designed to essentially integrate multiple functions into one easy-to-use software. 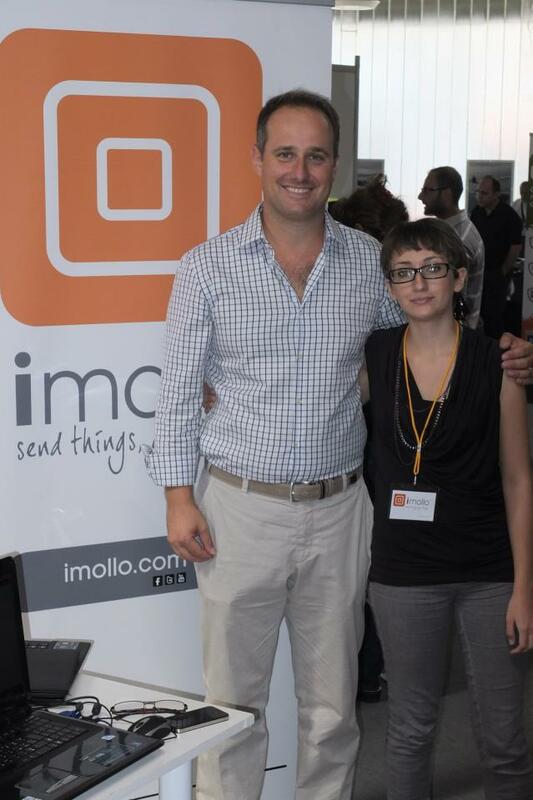 IMOLLO it is shaping to be THE alternative to tedious email attachments. Users can now conveniently send files up to 500MB per transfer to one or more contacts in a single drag and drop motion to IMOLLO’s virtual tunnel. That’s the equivalent of 20 email transmissions with the traditional attachment limitation of 25 MB per message. With IMOLLO, users are connected to the desired contacts, not to spammers, so they receive only what they need. File exchange is made easier, faster, and safer. IMOLLO is developed by a team of experts from specific technical skills, Raffaele Lafortezza, Marcello Reina and Luca Amenduni. The team is also supported by other people such as: Gianni Lovece, Raffaele Verna and Barbara Livieri. 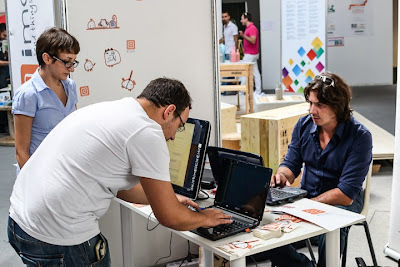 Raffaele, Marcello and Luca worked together on several projects related to website development, large database administration/management and three-dimensional digital modelling. Through different backgrounds and experiences, we are strongly linked by a passion for computer technology and digital innovations. The project started approximately 2 years ago and up to know it has been supported by the co-founders. We aim to raise some financial resources by the end of the year. As said before, the idea started around 2 years ago. The original idea of IMOLLO lies at the heart of its purpose: to send and receive files, both big and small, expeditiously and hassle-free. The easiest possible way to do that is right out of your desktop – you identify your recipients, pick what you want to send, drag and drop to IMOLLO’s virtual tunnel, and your contacts almost immediately receive the files in their own computers. The same desktop app has a simple and uncluttered messaging system that allows you to instantly stay connected. We are a young start-up so budget really is a limiting factor for us. What we are trying to do is using the limited budget to support software development and testing. 6- What made you decide to launch your startup? The IMOLLO team believes that quality time matters. Spending time with your family, your friends and yourself. Watching a movie. Chasing the sunlight. Embracing the sea breeze. Every moment counts. With so much time spent with work, meetings and in front of your computer, you ask yourself, “Do I still have time for these?” We created IMOLLO to make your time more meaningful. Yes, of course. We made a number of mistakes especially in the initial stage of the project, but we like to learn by doing things! Yes, but every plan has to be flexible, you never know what the future is going to present you, which opportunities, which threats. It’s good to always have a plan, but you still have to look around for thing that you might have missed or overlooked at a first sigh. And if you have missed something or if something new shows up, you have to be prepared to change your plan, no matter how good it was. Money for us reflects the value of time, and IMOLLO is about saving the time spent on emails.…so..! Well, I think that a start-up has financial freedom when the level of debt is not so high to compromise the decision-making process. That means that the value created by a company should be enough to provide a good part of the company’s needs. Otherwise, you will lose decision power. So financial freedom means also decision-freedom. Well mostly on travelling and new projects/ideas which develop during travelling. 13- What value would your startup idea add to the community online? We want to offer a single-platform solution addressing everyone’s online communication needs. IMOLLO essentially integrate multiple functions into one easy-to-use program, from sending huge files with ease, eliminating threats of virus attacks and inundation of spam and ads, chatting with convenience and directness (goodbye needless emoticons and unwanted requests from strangers), to the assurance that you spend the least possible time glued to the computer screen doing your daily online tasks. IMOLLO relieves the community online of the hassles of having to send several messages due to email providers’ attachment size limitations or the laborious task of zipping folders and ensuring recipients successfully unzip them. We want our users to have more quality time and (a lot) less wasted time, we want to shape a whole new experience for online communication. The main advice is to launch their application ASAP in order to get the feedback from users and to start creating a community of early adopters.